RIGOL Announces New RSA3000 Real-Time Spectrum Analyzer. 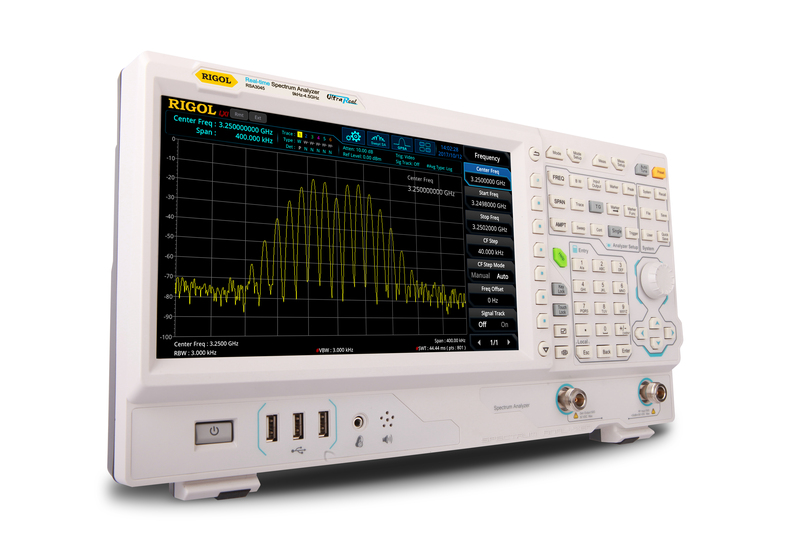 Beaverton, OR - June 12, 2018 - RIGOL Technologies expands its portfolio of RF Test Instrumentation with the introduction of the New RSA3000 Real-Time Spectrum Analyzer. RIGOL introduced our Real-Time Analysis solutions with the RSA5000 earlier this year. It combined the power of a high performance swept spectrum analyzer with superior Real-time performance unmatched in this product category. Now, with the introduction of the RSA3000, RIGOL is extending its Real-Time Analysis solutions to applications that don't require the high performance or standard options of the performance RSA5000 Series. Price sensitive engineers looking to bring Real-Time Analysis to their test bench can now get an upgradable, powerful solution at an exceptional entry price. "Engineers are increasingly looking to Real-Time Spectrum Analysis to solve their RF integration and debug challenges. The RSA3000 brings to these engineers the same exceptional value for Real-Time Analysis that RIGOL’s DSA815-TG has in traditional swept applications," says Michael Rizzo, General Manager of RIGOL North America. "With entry price of only $4899, complete real-time upgradability and sufficient swept spectrum specifications for most general purpose applications, the RSA3000 is a great option for customers needing real-time analysis capabilities with limited budgets." Learn more about the RIGOL RSA3000 Real-Time Spectrum Analyzer at www.RIGOLna.com.